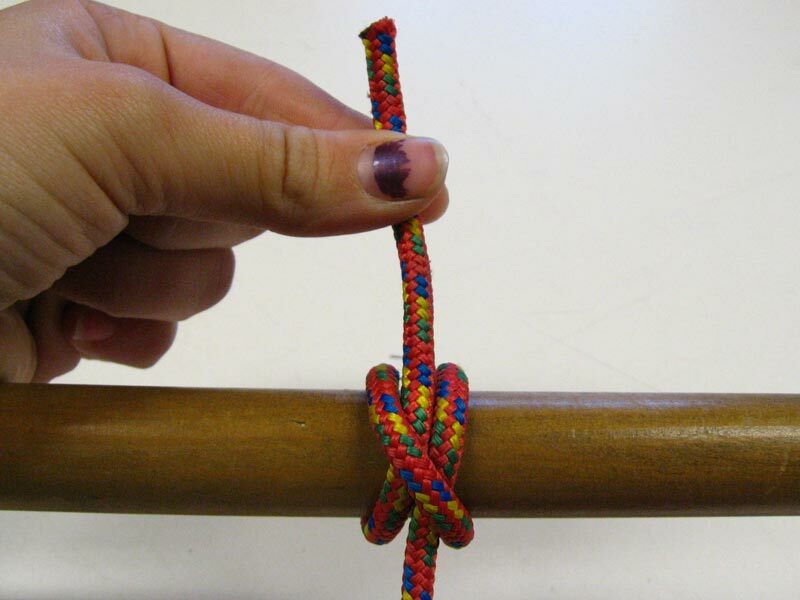 There are two ways to tie the clove hitch. 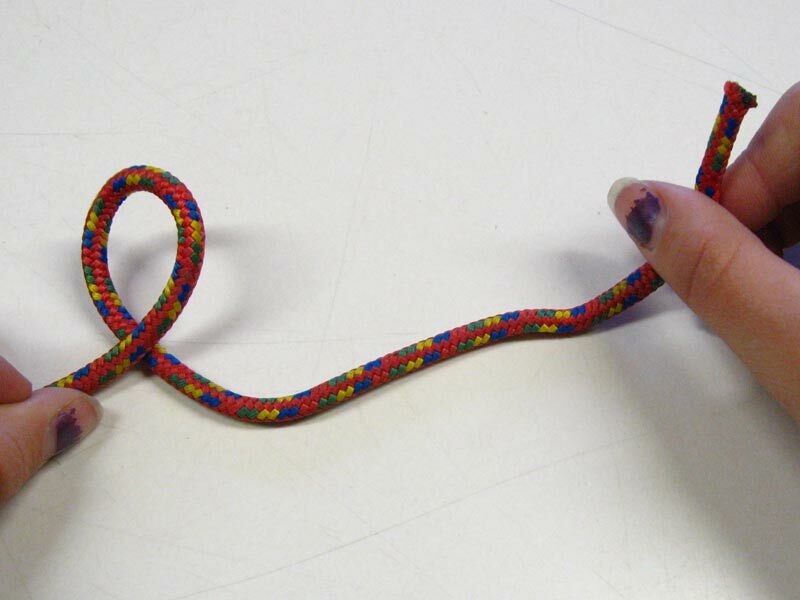 The first method is used when tying up to something that you can't access an end, for example if both ends are embedded in concrete. 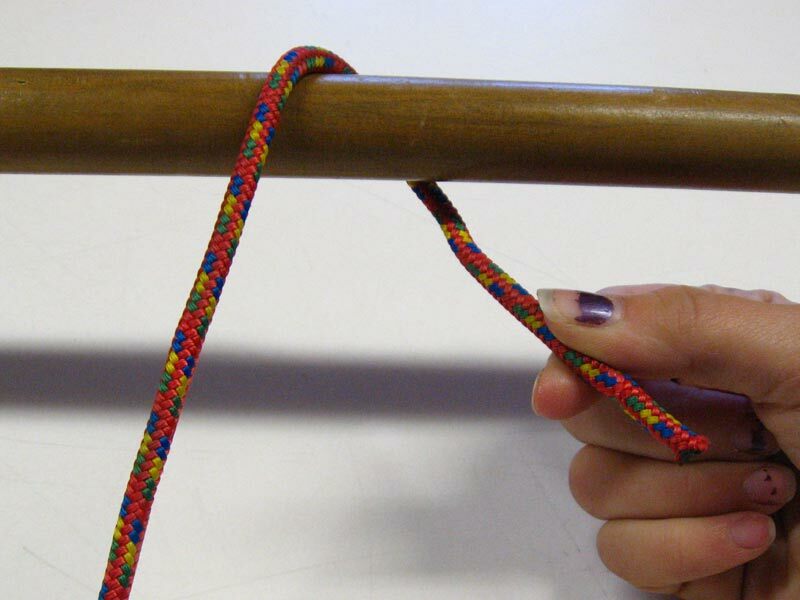 Take the working end of a length of rope around the object (picture 1), bringing it back over the top of the standing end (picture 2). 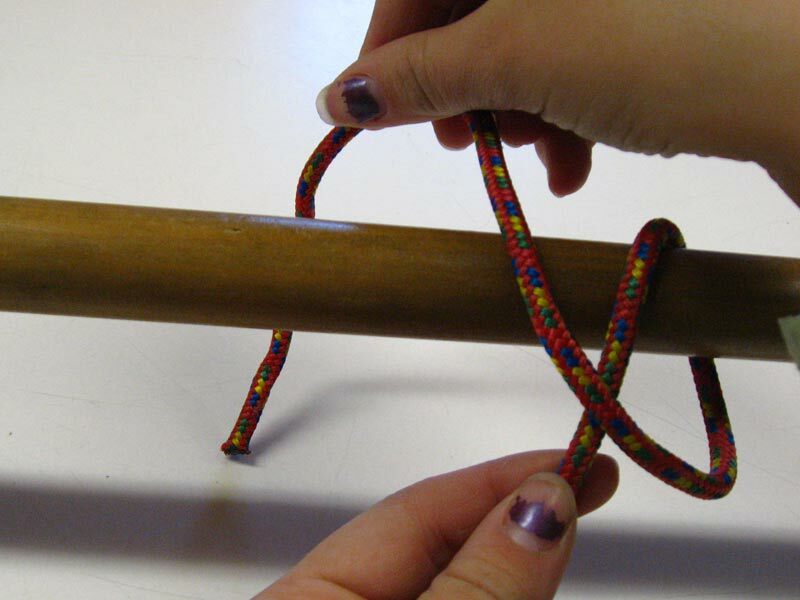 Then, make a second turn over the object in the other direction (picture 3), then bring the working end around and back up under turn just made around the object (picture 4). 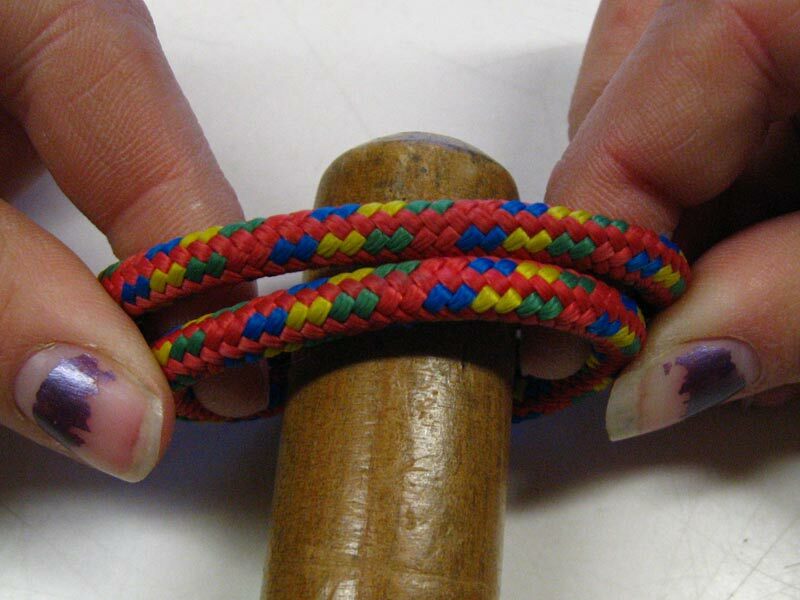 Pull it tight to form the knot (picture 5). 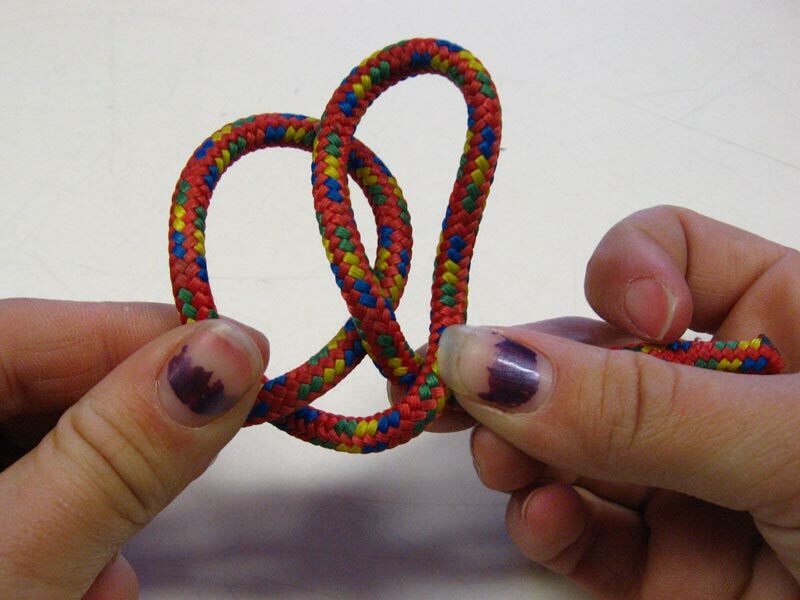 The second method can be used when you have access to an end of the object, to drop loops over it. 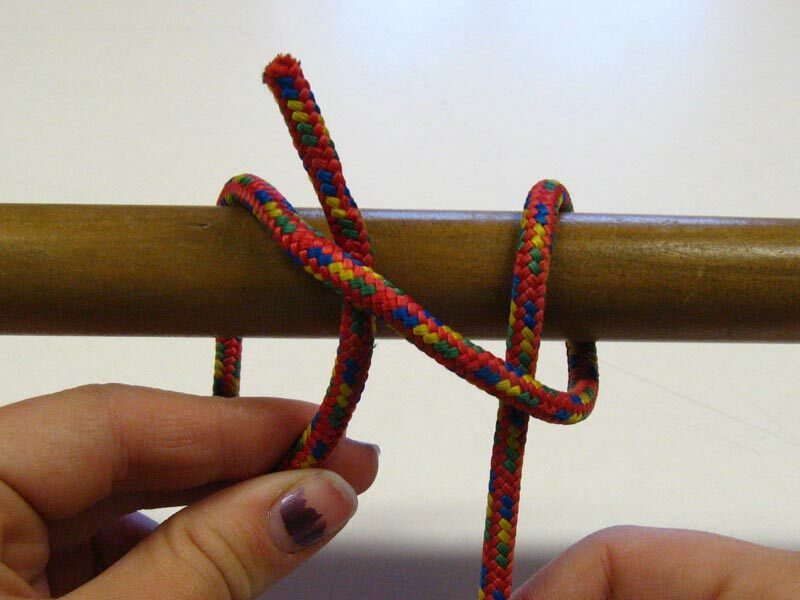 First, make a loop in the rope (picture 6), with the working end on the back of the loop, then make a second loop in the same direction as the first (picture 7). 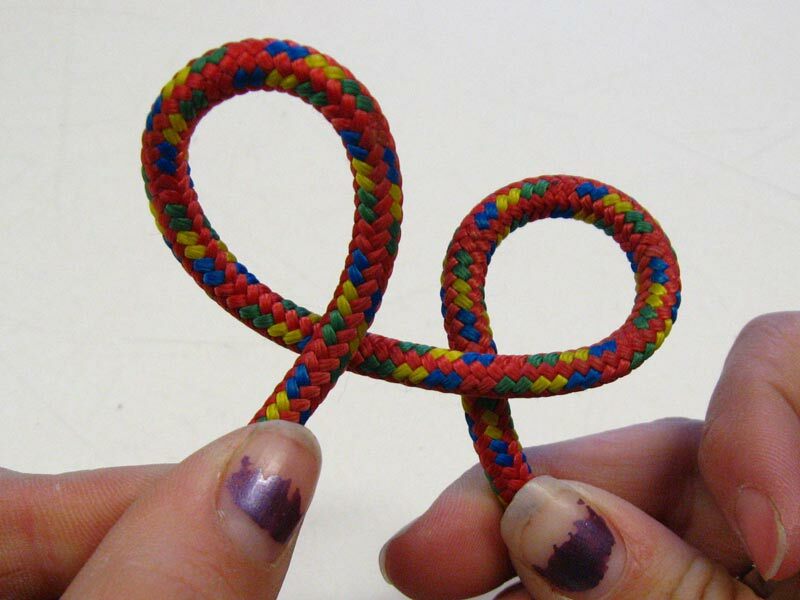 Next, bring the second loop forward and place it in front of and on top of the first loop (picture 8). 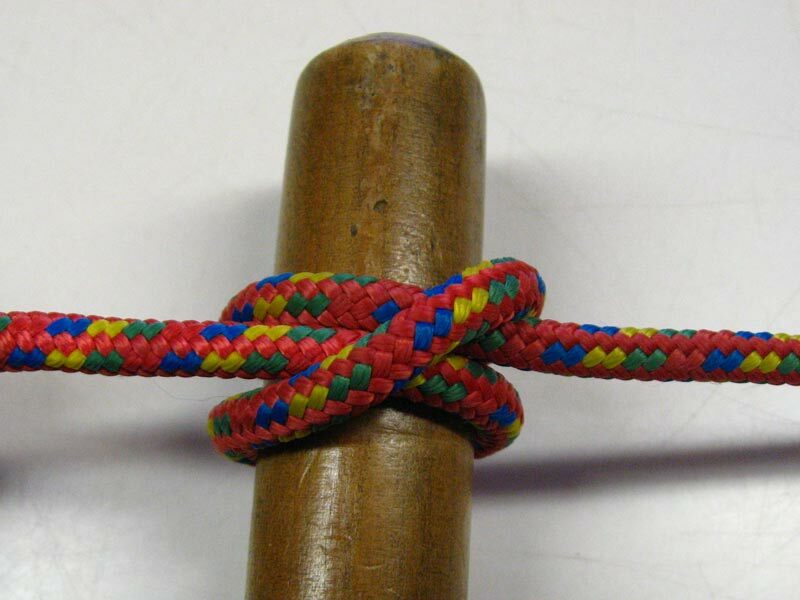 Now, drop the two coils together over the object (picture 9) and tighten to form the knot (picture 10). 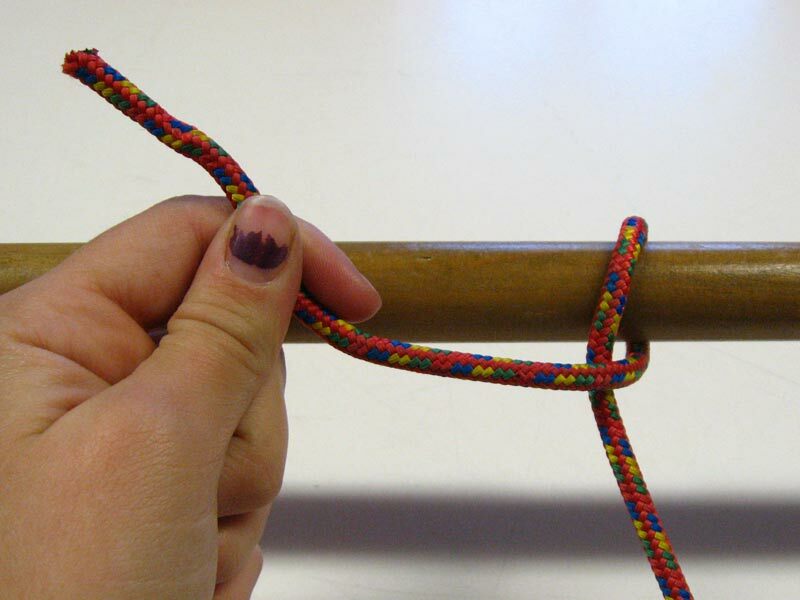 To make a clove hitch more secure, use a longer working end, so there is more rope that will have to slip through before the knot is lost and the boat drifts off, and a call to the coastguard is in order.